The move toward more sustainable workplaces has meant great things for the environment. From the ethical recycling of printer cartridges, to the development of more sustainably-sourced supplies, businesses have come leaps and bounds beyond the inefficiencies of just a decade ago. However, with many businesses still stuck in old ways and a large portion of e-waste still making its way into landfill, there’s a long way to go before we have a perfectly sustainable system. To help you toward a more sustainable office space, we’ve put together a few ways that your business can better adapt in the fight toward eco-friendliness. 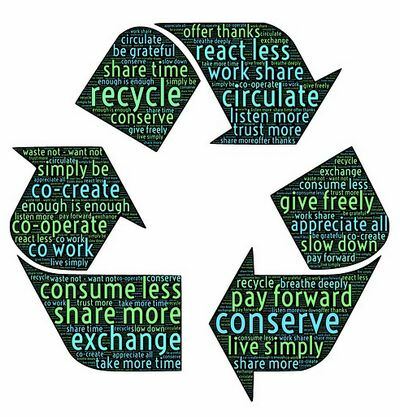 Whilst most businesses understand the benefits of recycling, many do not give their staff the tools they need to do so. As we mentioned earlier with printer cartridges, there is a variety of services available for those that wish to ethically recycle their e-waste. Having an area of your office where people can place items like this in preparation for recycling will make recycling far more likely to catch on. Additionally, it’s important to make sure that your office has at least one paper recycling bin in place. Office spaces are busy places, and the harder you make it for employees to recycle their waste paper, the more likely it is to end up in the garbage. There should also be a recycling bin next to each printer/photocopier. 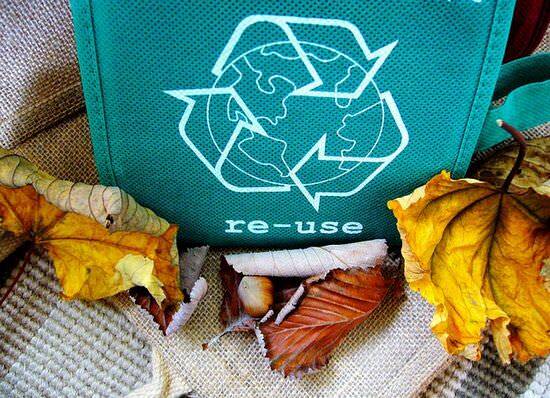 For many of us, the process of throwing something away once it has been used is ingrained into our habits. However, there are many instances where an item or object can be salvaged, thereby prolonging its functional lifespan. There are reuse schemes set up for everything from ink cartridges to stamps, so there is sure to be someone that can utilise your depleted or used products long after you’re done with them. For a more direct approach to reusing, however, one idea is to have a communal stationary area for when people upgrade/replace their still-functioning items. Rather than throwing away your pens in favour of the stationary set you were given for Christmas, you can put it in a “free use” drawer for everyone. Not only does this decrease waste, it also makes sure that everyone has that most coveted of items, a pen, when they need it most. This one is almost inevitably already taking effect in most office spaces due to the increase in paperless operations. However, given that printing is still a vital part of the business landscape, it’s important to be smart about it. Before printing something out, try to deduce whether it needs a physical copy. If not, sending an email with the information attached instead will help you to avoid unnecessary paper and ink expenditure. Another great way to save paper is to post methods for double-sided copying/printing above your machines. That way, nobody has an excuse to print 10 pages when the job could have very easily been completed with 5. It may not be the most exciting thing in the world, but if it works, it works. There is always more that can be done to increase the sustainability of your office space. However, if you’re reading this article, you’ve already begun the journey toward eco-friendly working. Just make sure not to print it out if you don’t have to. Good luck going green!